Wearables for Babies: Yay or Nay? Everywhere you look these days, you're likely to see people wearing their tech. Whether it's a fitness tracker, smartwatch, or even Google Glasses, wearables are all the rage. According to IDC, the market for wearables is estimated to increase to a whopping 126.1 million units in 2019. That's a lot of wearables. And the market isn't limited to adults. There are wearables for kids, like the FiLIP Smartwatch and the Moff Band, and if you can believe it, a growing number of wearable tech for babies, as young as one day old. 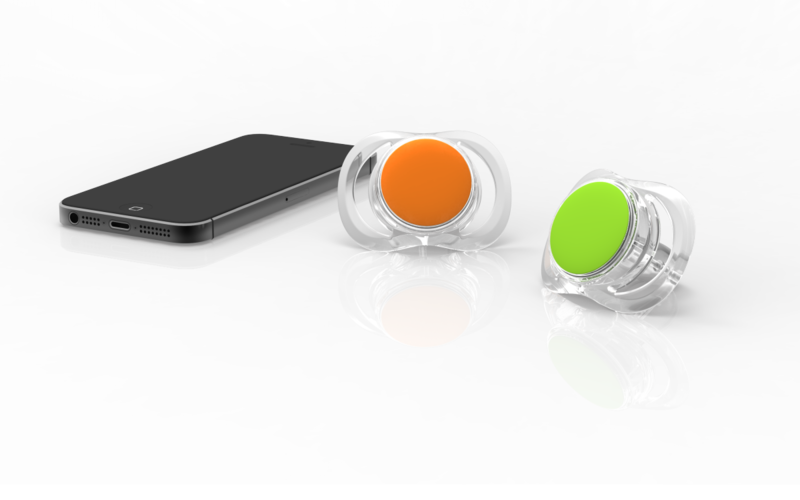 Sproutling calls itself the "world's first sensing, learning, predicting baby monitor." 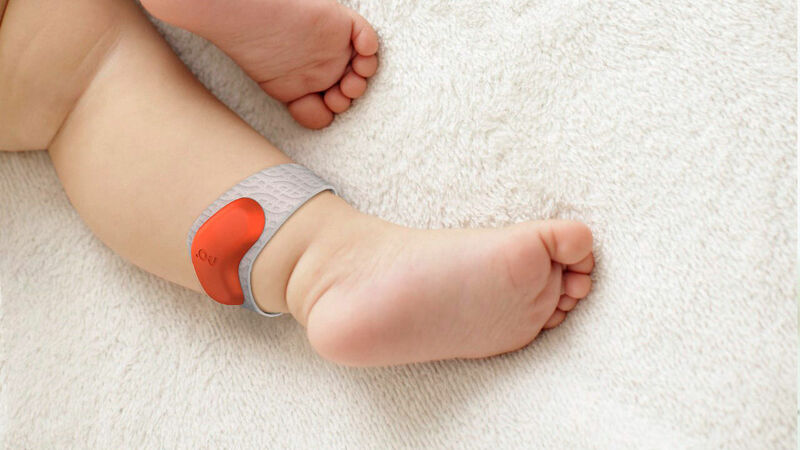 Placed around the baby's ankle, Sproutling measures important vitals, like heart rate, skin temperature, position the baby is sleeping in and any movements detected. An app is used to read measurements of baby's state, as well as for alerts on movement or irregularities. Sproutling also claims to know how long a baby will sleep or how much longer before waking. The Mimo Onesie is a full body kimono that tracks breathing, temperature, body position, and can even stream live audio, all from the "Turtle" sensor housed on the garment itself. 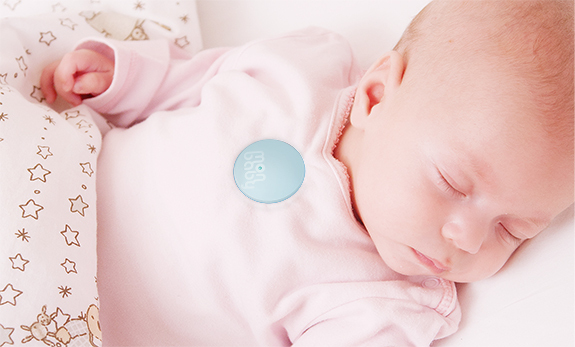 The sensor then relays the information to the "Lilypad" base which then informs you of baby's well-being through your smart device. MonBaby is a wearable of sorts, but one that is snapped onto the baby's clothing. 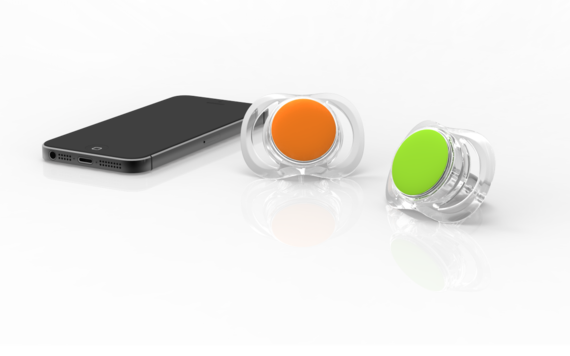 More of a movement detector, MonBaby can sense if the baby rolls, falls or is removed from proximity. Though it does monitor breathing activity as well. Parents can choose which alerts to receive on their mobile devices and can easily remove the gadget from one garment to the next. Owlet is a wearable slipper that not only keeps the baby's tootsie warm, but also gives a full read of his or her vitals. 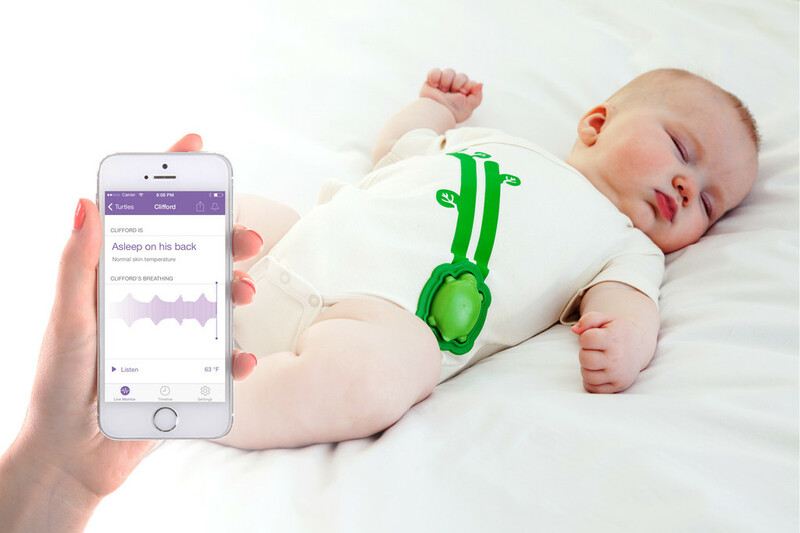 Using medical technology called pulse oximetry (also used by the Apple Watch), Owlet tracks heart rates and oxygen levels, and can give parents cues via an app of how baby is breathing. When baby is sick, taking an accurate temperature reading can be a two-person job. 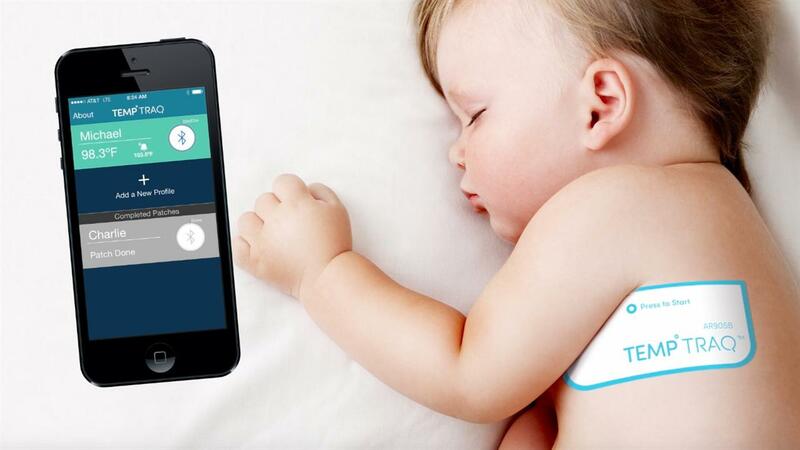 Helping avoid the dreaded temperature-taking process is TempTraq's underarm patch, that's a wearable continuously monitoring the baby's temperature and sending readings to your mobile device. TempTraq is latex-free and gives parents the freedom of letting baby sleep, while still monitoring fevers and sending alerts when they spike. There are others on the market, and likely many more to come, but the question begs if all this wearable tech is necessary, and when it comes to kids, safe. It remains to be seen what kind of long-term effect all of this technology on and around our bodies will have, but if there is any question, is it worth proactively putting on a baby? No, the monitor is not always on and it is using Bluetooth Low Energy (BLE) to communicate periodically to your phone. The radio waves generated from the device are more than twenty times below that of cellphones that are carried on our pockets all day. Dr. Harvey Karp, MD, FAAP, creator of the book/DVD, The Happiest Toddler on the Block, also weighed in stating there is no evidence of Bluetooth/Wi-Fi signals posing harm to kids, but nevertheless, says "it's wise to reduce our kids' exposure to electromagnetic radiation." "They [baby wearables] can be very reassuring for parents who have lost a baby to SIDS or have a baby with a serious medical condition, and are great for parents who love to see graphs of everything, but I am not aware of any evidence that they have saved any lives." With three kids myself, having the first in the age of What to Expect When You're Expecting (i.e. hard copy book on bedside table) and the third in the age of baby wearables, I tend to err on the side of traditionalism and hesitance. Well, if I didn't need it back then...Back in the day, when I relied on regular thermometers and audio-only monitors, I got by just fine. I'm the first to admit I love technology and have said that it has made me a better mom, but my concern is once these become the standard, what's next, GPS implants into our kids? Robotic babysitters? There's no doubt that the information relayed by these wearables is useful, and I'll probably turn to technology when I'm faced with having teen drivers or adolescents who want more independence. But when it comes to newborns and babies, I may have to stick with old school methods of parenting. That is, until someone comes up with a wearable for getting a baby to sleep through the night.